A grant is defined as " a sum of money given by the government or other organization for a particular purpose." Grants can come from many different sources, they can be federal, state or even county generated. Some grants are even granted through private individuals or businesses (think scholarships and research grants). Grants are applied for and the requirements for applying vary from very simple to very complex. 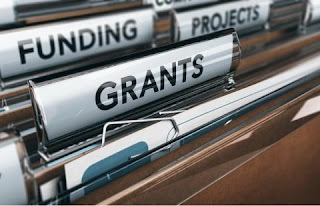 Many grants require matching or a percentage of funding included in the requirements, other grants do not require any other funding at all, some grants even are diminished/satisfied by time. Some grants you have to pay to apply for, others are free. All grants come with specific instructions based on the kind of grant and what the grant will be used for. There is no "one size fits all" description of what goes into a grant or the grant writing process. We hear a lot about what it takes to actually write a grant. Depending on the amount of funding, where the grant is coming from, what the grant is for and the complexity of the grant usually will decide on who or how the grant gets written. If the instructions are not adhered to perfectly, usually your application will be turned down. Also most grants are time sensitive, meaning there is an open window of time when it must be filed as a qualification of the said grant. Some people make it their life's work to write grants. There are also companies whose primary service is finding and applying for grants. There are college classes on how to write grants because they can be so complex, time consuming and difficult to write. Not everyone is skilled enough to actually write a grant, it is definitely a specific skill that not a lot of people possess. You do not just pick up this skill by way of a job, its not like typing. Mostly people that are going into public service or community development will take classes to learn this skill. So in ending when you hear someone say that writing grants are easy and anyone can do it, they most likely have no idea what goes into the grant writing process. You may have heard about the Cornerstone Reports, this is a timeline of the events around those reports along with related news articles. 2011 - Talk and Rumors of possibly dismantling the MPD starts to circulate. Infighting & law suites plague police department. July 2012 - Because of the infighting & law suites the solicitor and insurance company recommend an investigation be done. Council hires Cornerstone Consulting to investigate MPD at the cost of $130,000 Plus $20000 for an audit of the PD since there hasn't been an audit in over 20 years plus, $350 per hour, for a special attorney to review the report. July 31, 2013 - After 7 months without a head of the police department, Frederick DeVesa is hired as interim Director. October 2013 - At 10 months without a Chief of Police, a group of concerned citizens got together to form the Morrisville Town Watch. Within the previous month a child abduction happened in town and the citizens were not made aware of it until weeks later. Also Rivella appoints Ted Parker to his vacant Council seat. While I do not have a political background and I do not make the claim that I am a seasoned politician. I can say that I am a concerned citizen and big fan of the TRUTH and financial responsibility with my tax money. One of the things that I truly hate about politics is that no one tells you what they have actually accomplished during their time in office. I will switch the channel or toss that paper into the trash without even opening it if it's just about saying how horrible the other person is. More often than not it's either something blown totally out of proportion or even made up completely. I have no doubt it will be the same with this election cycle. When people don't have any accomplishments, that's what they do. It's a distraction away from their shortcomings. I am going to talk today a little about what I feel that I would bring to the table to serve my ward on council. I have previously worked for the City of Perth Amboy Housing Development Corp. PAHDC was a division of Perth Amboy community development division. I was hired as bookkeeper and office manager and worked under the Director. Primarily I kept the books on about 11 different grant programs ranging from CDBG and RCA grant money to Lead Based Paint Abatement and other neighborhood revitalization programs going on at the time. I was also in charge of the sealed contractor bidding process and participated in planning a number of community outreach programs to clean up properties of seniors/disabled and lower income people that didn't have the ability or funds to do it themselves. I also worked closely with the director to identify and apply for grants that would benefit neighborhoods in Perth Amboy. I also received my NJ Notary while I was at PAHDC and I performed administrative duties for a 21 member board. I ended up leaving PAHDC because my mother was terminally ill so I spent the last few months of her life taking care of her. Soon after my mother's passing I went back to work for Lifesign LLC which was a bio-meditec company. They made and distributed rapid medical tests. I was hired as office manager and general accounting and worked under the President of the company. I managed an office of about 7 people and was responsible for all of the company bookkeeping including payroll, payroll taxes, cafeteria plan, AP/AR, budgeting, HR, Benefit negotiations, sales tax in 7 different states. While I was at Lifesign I became a certified bookkeeper. I am currently an Executive Assistant at East Coast News, and work for two wonderful Brothers who own 4 distribution warehouses nationally. During my time here, I have negotiated contracts for supplies and trade shows, coordinate company travel, been involved with accounting both inhouse and for their other properties, Insurance, property taxes, corporate taxes, and event planning. So that is me in a nutshell. I feel with my background I would be an asset to the 4th ward. I would certainly listen to the people in my ward and diligently answer emails and phone calls. If I don't have an answer, I would do whatever I can to get an answer. As a community we have much further to go to make our town what it should be and I would love it, if I could be part of that forward moving team. I know that it's been awhile since I've posted. 😁 While I still seem to have a great viewership, to whoever comes to read what I have written, I thank you & I hope that you find some humor and levity in my musings. Over the last year or so, I have taken on a number of endeavors, I became a grandparent to a beautiful baby girl and have been working like a mad woman on my career. 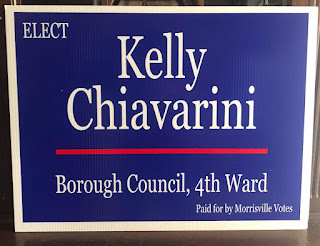 I have also recently decided to run for Borough Council in the town I live in. (Morrisville, PA) Which is probably the biggest news of all. I have advocated for many years for people to come together because we are all neighbors and citizens of this great country of ours. I believe that we can and have to find things that we all can agree on. 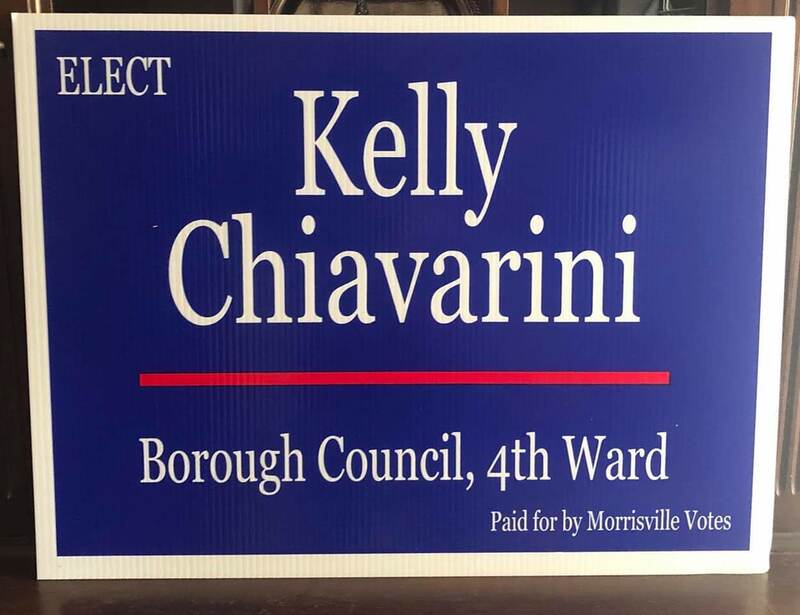 One of the reasons I made this decision is because over the 8+ years that I have lived in Morrisville, I have seen this town go from a huge hot mess to resurrection from the ashes in the last year or so. The first year that I moved here, I almost turned around and moved back out. I will get into some of the problems and issues that were faced in other blog posts. That was until I found a group of people that were willing to do whatever it took to really bring this sleepy little historic river town into the future. This group of people were both Democratic and Republicans, working together. This bipartisan group of people is exactly what so many people want to see. I don't know about you but, I am so tired of all the infighting and nothing ever happening because so many people are hung up on labels. If people would just stop fighting and finger pointing at each other, we can find common ground. We can do good things, we can be happy and live in peace. In ending, I will be putting my mad skills and faith in humanity to the test. I am sure I am going to have a heck of a road to till but I'm up for the challenge.